Fingers crossed this actually makes some sense to someone. 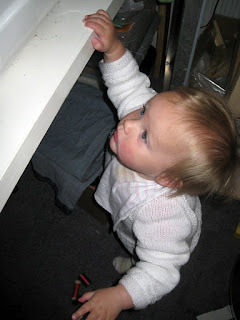 When you are trying to concentrate, too many baby/toddler breaks can really mess with a persons brain! If you have ever put a tutorial together, you would understand how much brain power is required. 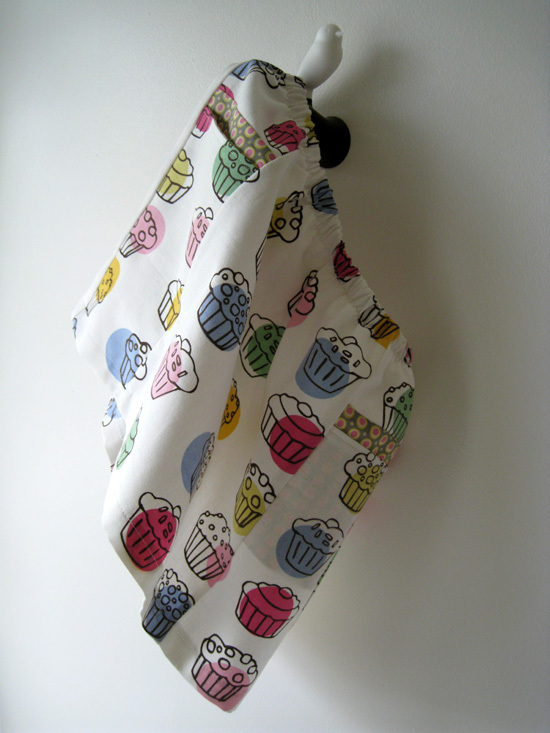 So, grab your tea towel, chop the thing in half. 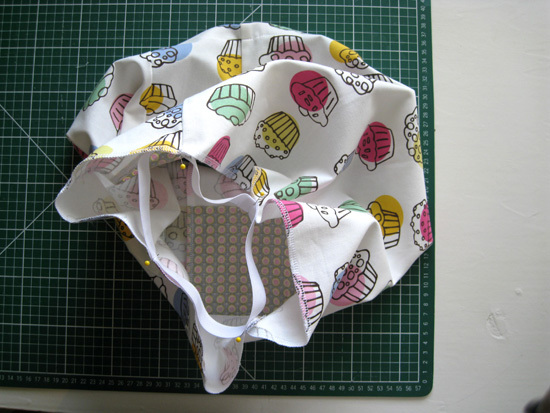 My tea towel was a bit wonky in its squareness, so I straightened it up by cutting the original top/bottom hems off. I kept the side hems intact, as I figured that would save me having to overlock my side seams later. Then from one of the halves, chop a 12cm strip off of each side. 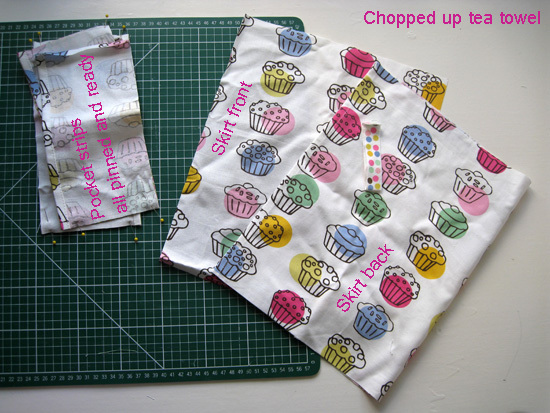 Chop 10cm off of the top of each 12cm strip so that you have 2 pocket tops. 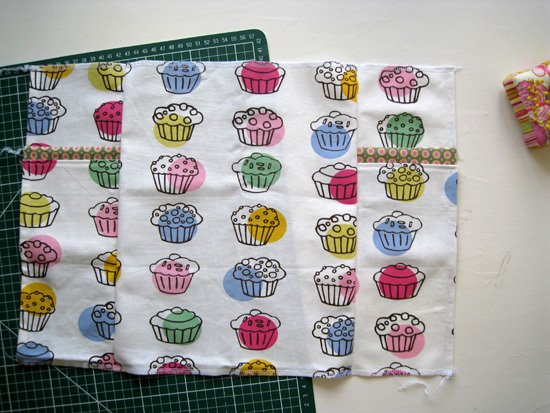 You will need some extra fabric for your pocket linings. 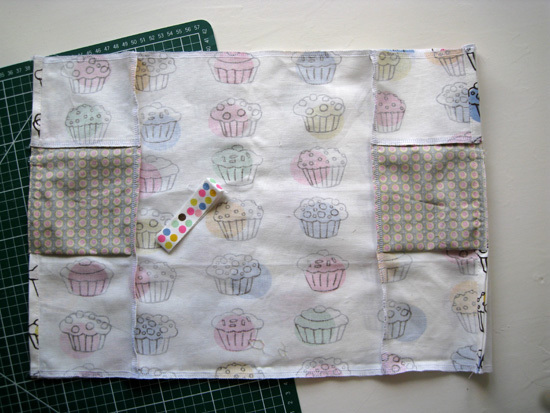 I had some skinny quarter strips which I cut 2x 12cm wide strips off and then just squared them off. So they were 12cm (w) x less than 25cm long. These are your pocket pieces. You might want to finish the raw side seam edge of the pocket lining before you sew it all together. 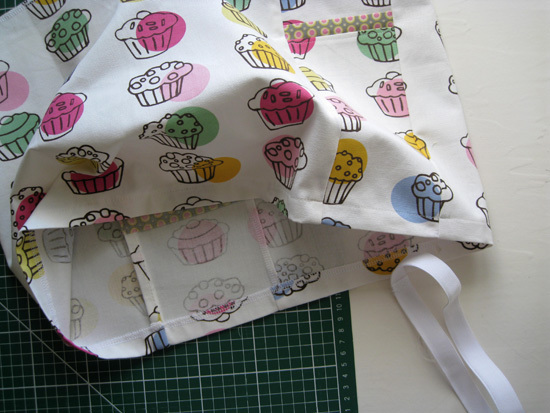 I didn't think of doing it at the time, so ended up zig zagging along the raw edge when those seams were sewn. 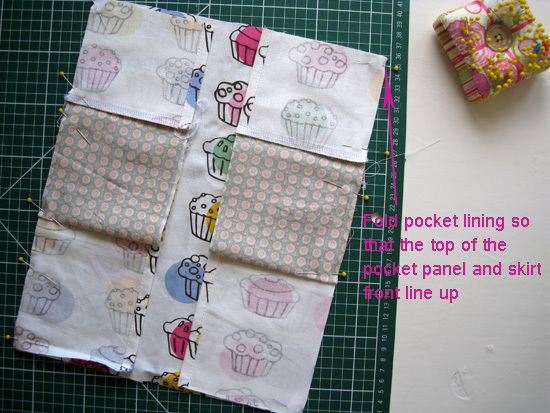 Pin your pocket strips together - sew and finish the seams. Top stitch the pocket tops - where the skirt bottom meets the pocket lining. 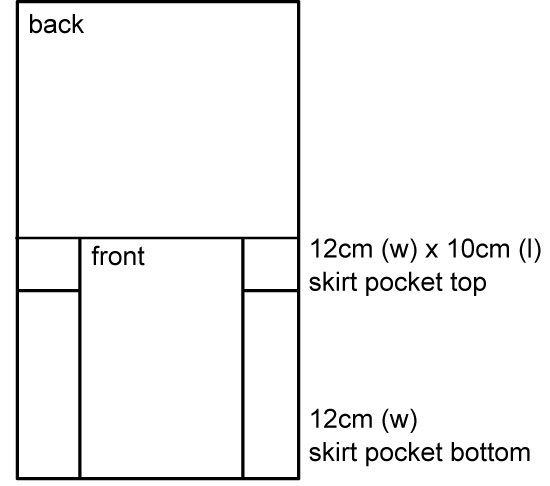 Line up the hem and seam of the pocket panel and skirt front. 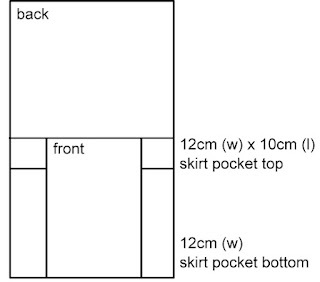 Fold the pocket lining so that the top and seam of the pocket panel and skirt front line up. 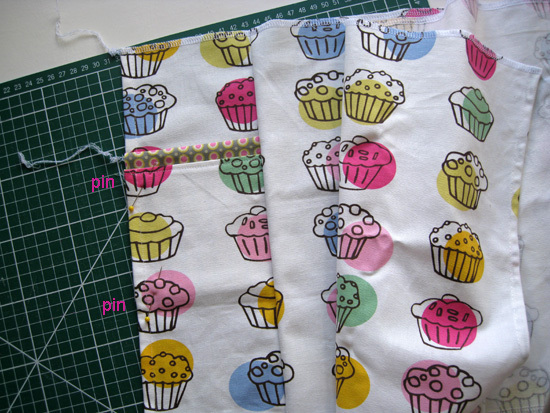 Pin and sew and finish the seam. Front seams all stitched and ready for ironing. 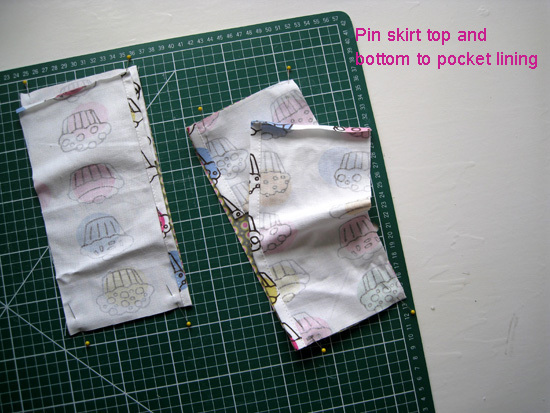 Pin the pockets to the front, then pin the skirt back to the front. Reachy grabby trouble! This is the bit about keeping the sharp stuff away from the baby! 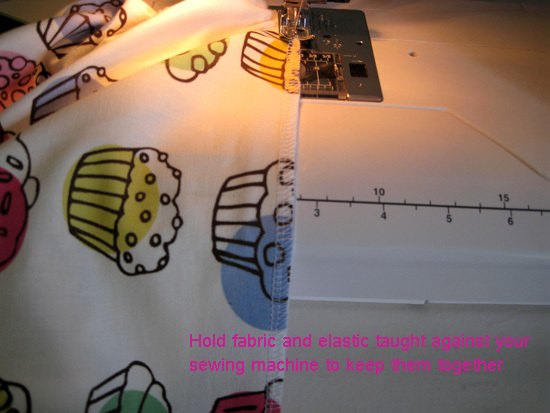 Finish the hem edge, turn up 2cm and sew. Iron the hem. 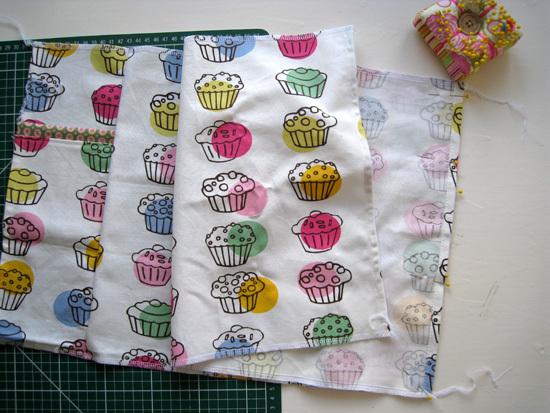 I like to sew my elastic in rather than do casings. Mostly because I hate it when cased elastic rolls and twists. Do what you like, but this is my method. 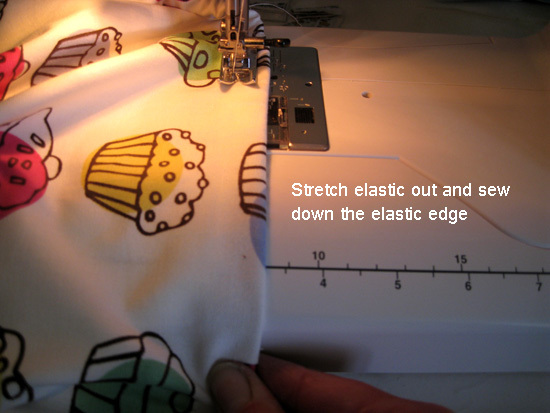 Measure your elastic length, sew the ends together. Make sure your elastic is a few centimetres shorter than your waist measurement. 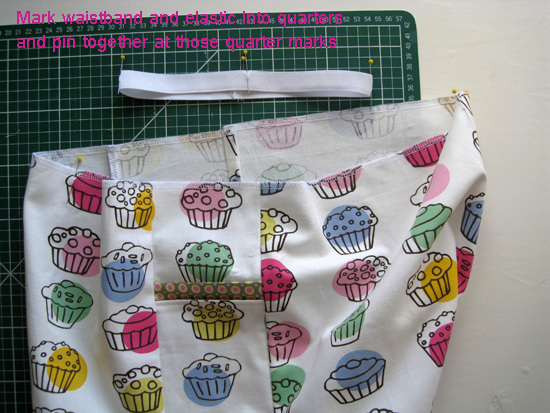 Mark your elastic and finished waist edge into quarters and pin together at those quarter marks. Fabric and elastic edges all lined up and ready to sew. 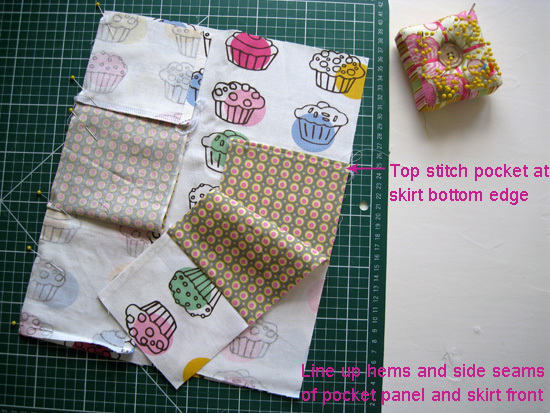 Using a small zig zag sew the elastic to your skirt, stretching the elastic as you go. 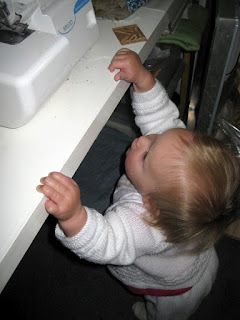 I hold my fabric and elastic taught and together by pulling and pressing it over my sewing machine with one hand. Then holding the fabric behind my needle/foot with my other hand I help to pull it through. 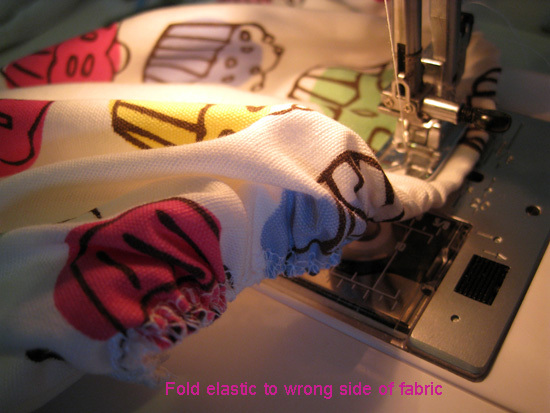 When the first elastic edge is sewn, fold the elastic/fabric to the wrong side and stitch down the bottom edge of the elastic. 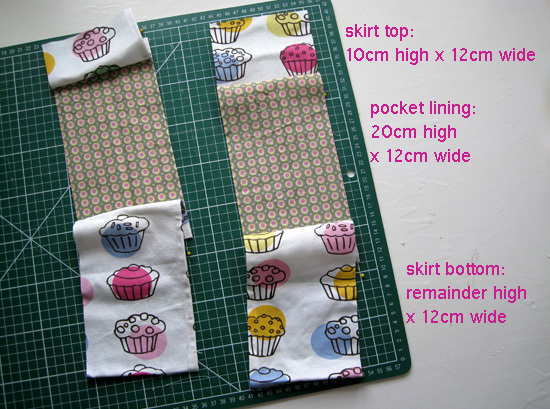 My elastic was about 18mm wide, so my stitching was around 15mm from the top of the skirt edge. I used a small zig zag, but a straight stitch would be find too. 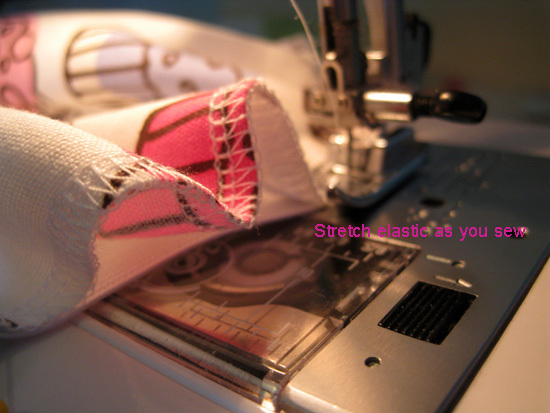 As you sew, the elastic needs to be stretched out again. 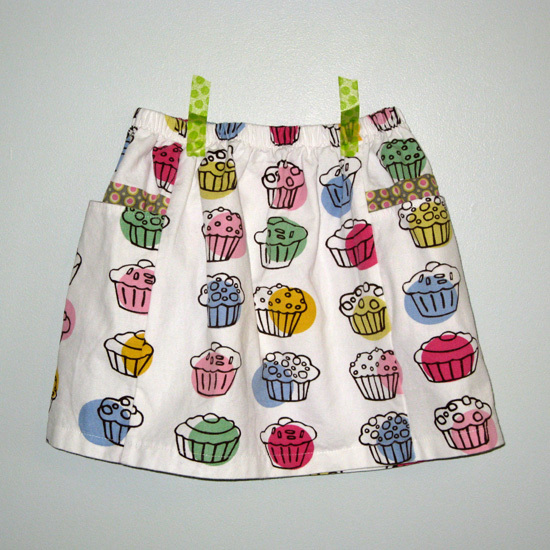 Now, if I had a co-operative child, a picture of a cute modelled cupcake skirt would follow. Ava has slept in it and worn it during the day time too, but when the camera came out she made a run for it. But, I don't. Have a co-operative child. 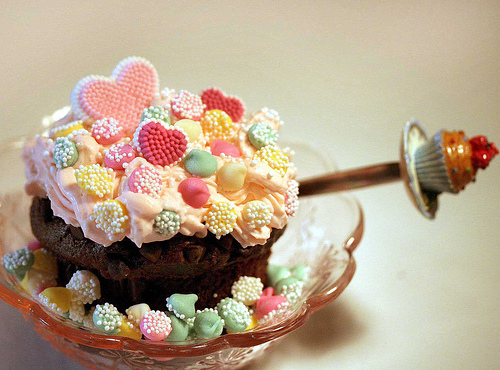 So you get a picture of a rather fancy cupcake instead!